Setting a clear goal is probably the most important step in order to make a good website. Everything else - design and content - must serve this goal. A website without a goal lacks the vision of how to lead visitors in the right direction. It means that you might have enormous traffic on the site but you are unable to turn the clicks into money in your bank account. So, if you really want to build a good website, you should first give some serious consideration to what is the most important goal you want to achieve. Would you just like to introduce yourself, collect contact details of potential customers, or do you want to receive business proposals? In addition to that, you can always turn your website into an online store and sell your goods online without any interaction with your customers. Whatever it is, set the goal, roll up your sleeves and start building your website. How to set a goal for my website? Your website should support your image and complement other activities you conduct both online and in the real world. The main idea here is that every industry has its own etiquette and set of unwritten rules. In some industries, it is expected that you connect with your customer on a very personal level, yet in others an approach like this would be odd and you’d be better off keeping a distance and a certain level of unattainability. You know your business best, and the most appropriate approach. However, I will set out some examples of the most common types of websites, so that deciding which direction to go should be easier for you. Nobody will do business with you or buy from you if it is impossible to find you on Google. The key to success with this kind of website is a good first impression. However, it is equally important that the visitor can easily find the most important piece of information — your contact information. Pros: Less is more — you don't need to create tons of content. On the contrary, the fewer words you need to deliver the core message, the better. Cons: Once you have started building your website, trust me, everything suddenly feels extremely important. So, there’s a real danger that you heap the website with unnecessary information so that nobody, even you, can get through your texts. 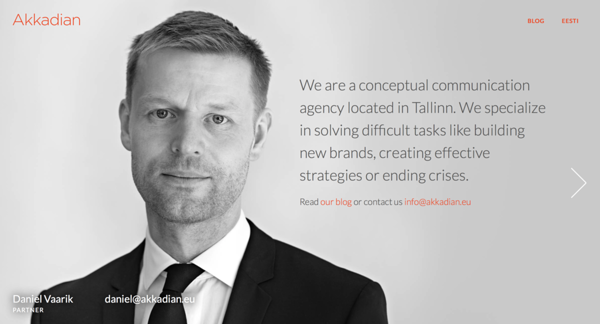 Screenshot of the website of communication agency founded by the most legendary PR expert in Estonia — Daniel Vaarik. This website was built with Voog. Typically this is a campaign site or homepage for an organisation or business. Who, where, when and why — these are some of the questions that you will find answers for from a site like that. Pros: Websites like this usually do not expect the visitor to do anything else but look through the information. There are no hooks to get visitors to join the newsletter or buy anything. Therefore, visiting a site like that is a very nice stress-free and laid-back experience. Cons: the main concern for you as the creator of the site, is that visitors may miss the story you want to tell. This sets certain requirements for the content — it must be gripping, long enough to deliver what is important, but still as short as possible. Creating content like this is much harder than it sounds. 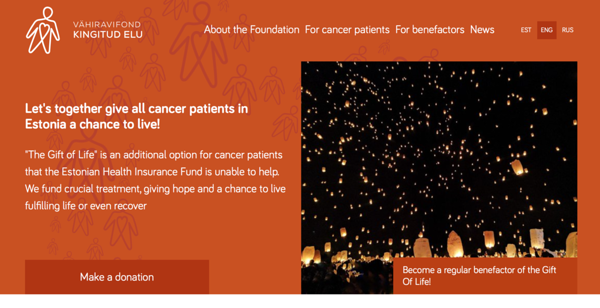 Screenshot of the charity fund Gift of Life’s website. This is one of the biggest charity funds in Estonia, established by Toivo Tänavsuu, renowned journalist. Do you want to make life easier for your sales team? If yes, a website like this could be a very useful asset. You can take full advantage of the Internet and let your visitors leave their contacts with you. Or take it to the next level and enable your visitors to send business requests directly to your mailbox so that all you have to do is seal the deals. Pros: The greatest advantage of any contact details being entered via your website is the fact that the visitor has actively expressed their interest. It means that each and every contact from this channel is highly likely to become a customer. If you collect business requests from your site, you only need minimal human interaction to close the deal; just specify the deals and send out the invoice. Cons: Nowadays it is more difficult than ever to convince visitors to leave you their contact information. In order to get an email or phone number you have to offer something in return. The bigger the offer the greater the chances of getting the contact. In the case of collecting requests, people don't often send a request because they assume there will be nobody reading it. So, make sure you let your visitors know that there will be an actual human being going through the requests. Adding a picture and name of the person reading the requests might be a good gesture. Screenshot of Taavi Kotka's website. 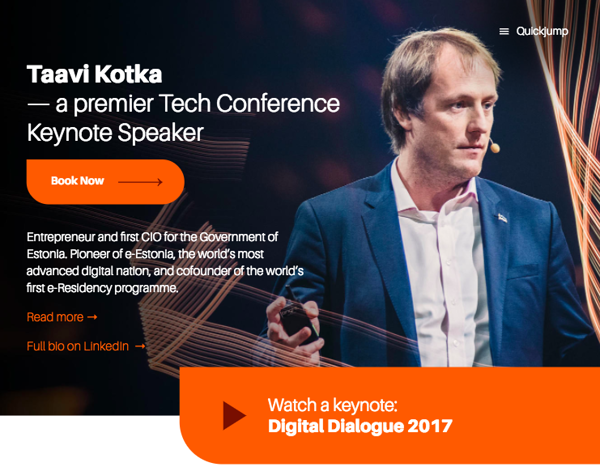 Taavi was the first CIO for the Republic of Estonia and one of the co-founders of the world's first e-Residency programme. An online store is probably the best way to exponentially grow in volume, regardless of the size of the business. You can access millions of people with minimal expense, and it enables you to sell your goods to customers from the United States to Oman without ever leaving your bedroom. Pros: Global reach. Your online store is present anywhere there’s a broadband connection, and the majority of the global population is only a few clicks away. In addition to that, you don't need to rent office space or hire personnel. Cons: E-commerce is extremely competitive, so you really need to find your specific niche, or give visitors a good reason to buy from you. In addition to that, there are countless services you can use to set up an online store — make sure you approach it with due diligence, because managing your store can become unimaginably painful if you have made a poor choice of service provider. I would personally recommend avoiding all kinds of ‘free’ services. 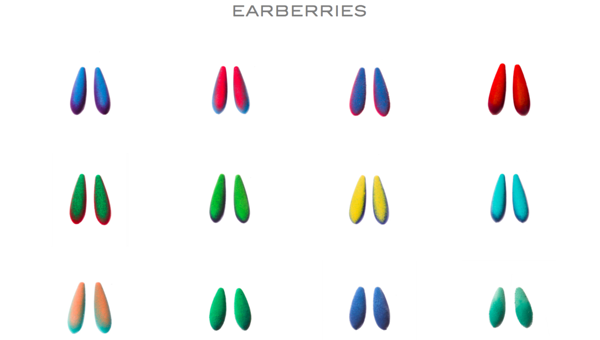 Screenshot of Tanel Veenre’s online jewellery store. Tanel Veenre is the most successful jewellery designer and artist in Estonia. His work can be found in exhibitions around the world; one of his latest customers was Princess Firyal of Jordania. I hope I was able to inspire you. And you now have a somewhat clearer idea of the goal you want to set for your website. However, keep in mind that your website's goal can be something totally different and ‘outside-the-box’. So, I encourage you to let your imagination fly.